The U.N. has named 2016 the International Year of Pulses like lentils, beans, peas, and chickpeas. The initiative is celebrating the fact that beans are an eminently sustainable protein source: hardy, nourishing, energy-efficient, and even altruistic, as they can be successfully used to assist with crop rotation. In the winter especially, I want something warm and protein rich to eat first thing in the morning. Lentils are often my choice. Below is a recipe for making some great lentils with greens as a breakfast, lunch or dinner option. Protein-rich Breakfast #3: Part of the protein-rich breakfast dozen. How to: Heat 1 Tbsp of olive or coconut oil, add chopped onions (optional) and cook until soft, add cooked lentils, diced tomato and dried spices and continue to sauté on medium to high heat for 8-10 minutes until lentils are heated through. 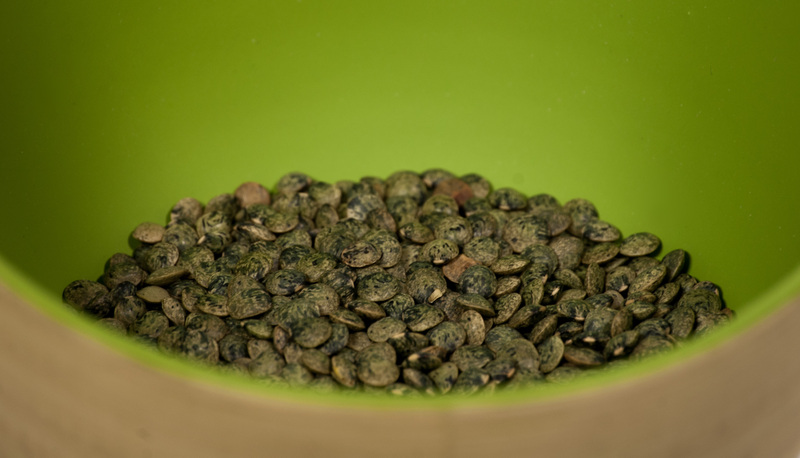 Serve the lentils over a cup of fresh spinach greens. Total protein 27 – 27.5 g; Total cost: $7.47.